We refurbish alloy wheels anywhere across Northern Ireland we can also accept jobs via post from anywhere, we use the latest repair techniques to ensure a quality finish every time! 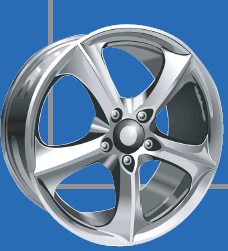 We fix kerbed, corroded, cracked, diamond cut, polished, two peice and dented rims. With diamond cut wheels we will repair them to a much more durable painted or polished finish, to ensure that the standard diamond cut corrosion does not re-occur. We are located 5 minutes from Sprucefield shopping centre on the M1 (go to the contact us tab for more information). Wheels leave our workshop refurbished to an as new finish. We also offer refurbishments on motorbike wheels and most components, rocker covers, fork legs, mirrors, wheel nuts, disk centers, basically if you can get it off and get it to us, chances are we can spray it for you. Custom and candy colours available on request. 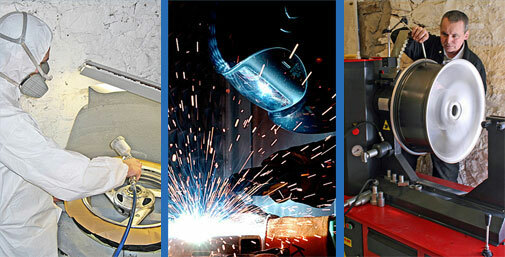 We aim to offer the very highest standard of work for a very reasonable price.